Quick Charge 3.0 (QC 3.0)so means the battery pack will consume less energy, about 45% energy savings. USB Type-C, the newest type of USB standard which allows faster charge, data transfer and you don’t need to worry about which end needs to insert and how. It is very easy, as both ends of a USB Type-C cable are the same and fully reversible. Also with QC 3.0 certified charger you can charge this RAVPower 20,100 mAh portable battery pack very fast. About 5 hours it takes to charge the battery fully. There are 4 LED lights to show the battery bar and charging status. 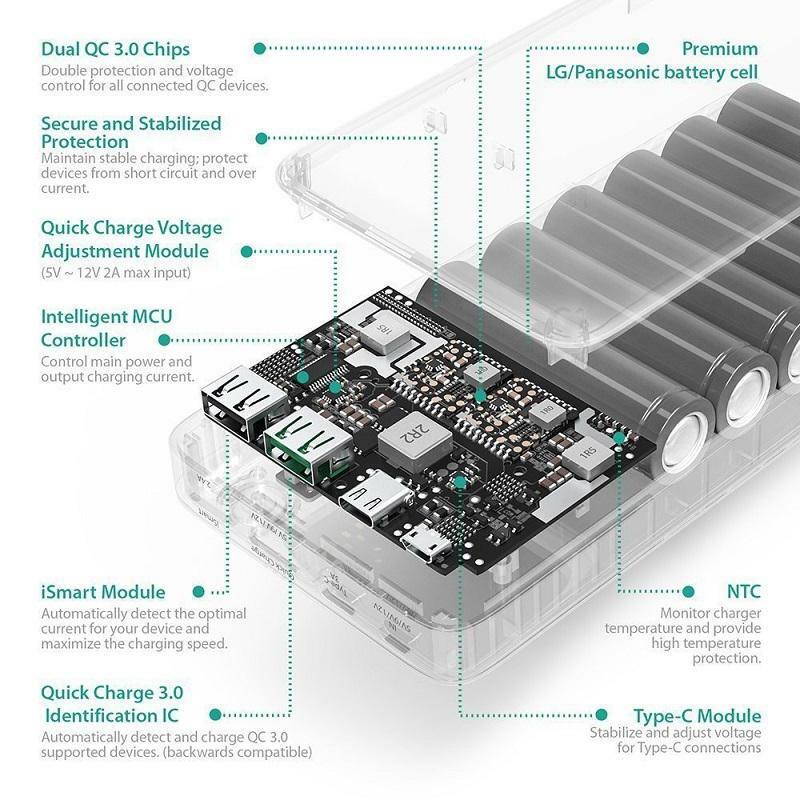 As QC 3.0 and USB Type-C is new, there are not so many devices released with these techs yet. But, there are more devices that uses QC 2.0. Here is a list of compatible devices (QC 3.0, QC 2.0 & USB Type-C combined list) that can charge fast using this portable charger, other devices will continue to charge normally. Of course it will charge older Micro USB devices, and other Apple products as well. 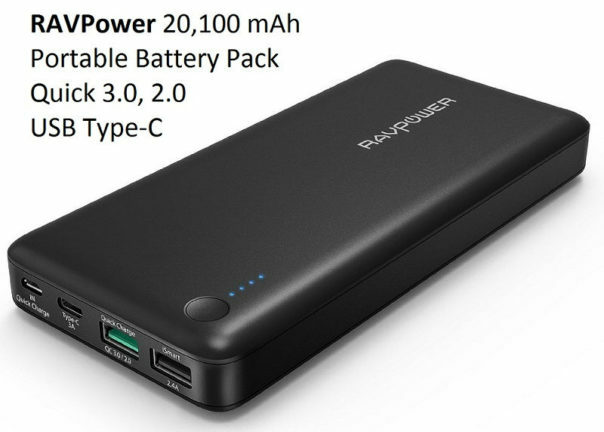 The RAVPower 20,100 mAh portable battery pack sold by Sunvalleytek-UK and fulfilled by Amazon. Amazon’s prices are always changing, check the current price by clicking the buttons below. 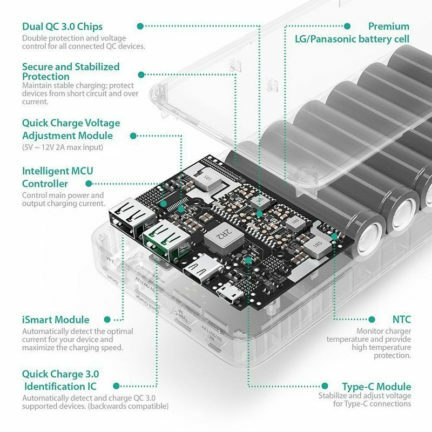 There is a slightly cheaper model available which supports Quick Charge 2.0 and USB Type-C. If you are not looking for QC 3.0 but fast charge, you should get this. Saves your money while giving you fast charging for your compatible devices.